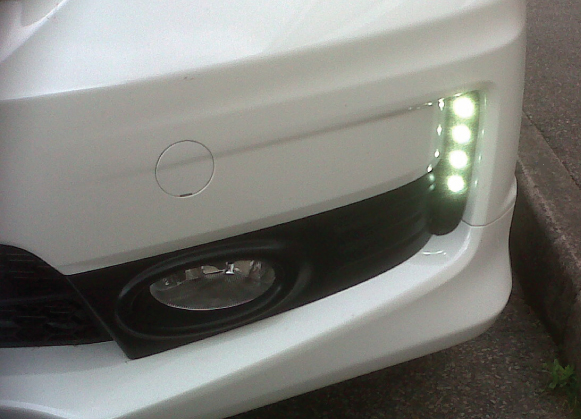 If your looking for the modern look Daytime running lights can give you that new refreshing style look. With all our kits we supply & fit being high quality you can be assured of a perfect finish. We have many kits to choose from and certain kits are better than others depending on the vehicle make and model we are fitting them onto. Our daytime running lights can be wired to comply with all UK road laws by dimming down when turning your side lights on, this not only complies with the road laws but also looks very original ( OE ). We can supply the horizontal bar type, parking sensor style type or OE replacement grills meaning you have the original manufactures look on your vehicle. The great part of DRL's is they use so little power they don't effect anything on your vehicle this includes MPG. With having daytime running lights installed you increase your road safety massively by being seen on the road, Volvo was the first to start the daytime running light phase and it has defiantly caught on with the aftermarket and car brands adapting to the style. We supply and fit Day Time Running Lights in Essex and all local area’s such as…. Basildon, Brentwood, Romford, Hornchurch, Barking, Dagenham, Ilford, Thurrock, South Ockenden, Billericay, Grays, Southend, Southwoodham ferrers, Chelmsford.